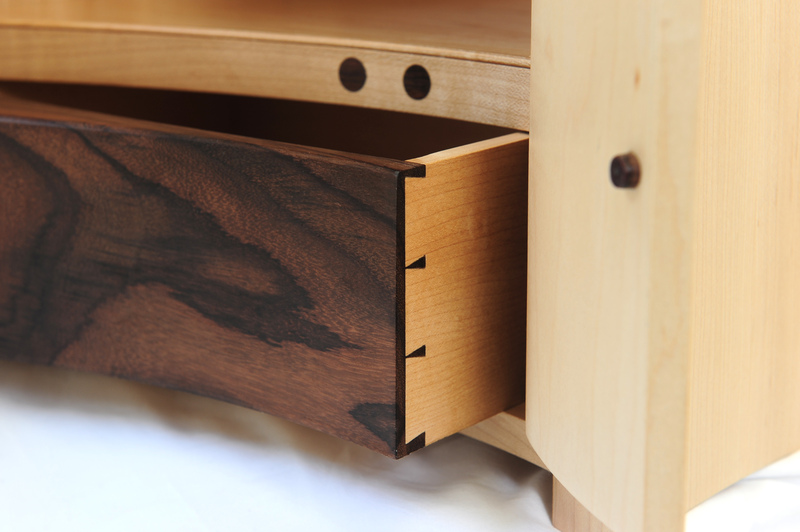 ‘Bonsai’ drawer detail. Miniature cabinet made from Indonesian rosewood and maple. Inspired by the style of David Savage, most notably for the flared carcass sides.